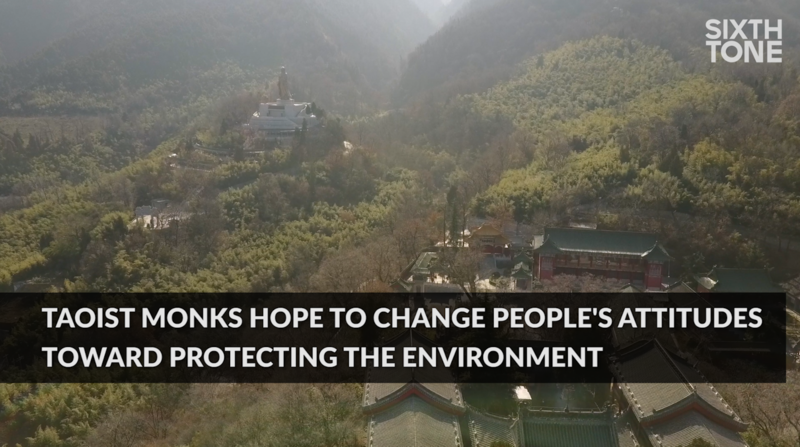 By building a network of ‘ecological temples,’ leading Taoist monks are serving as role models for sustainable practices. 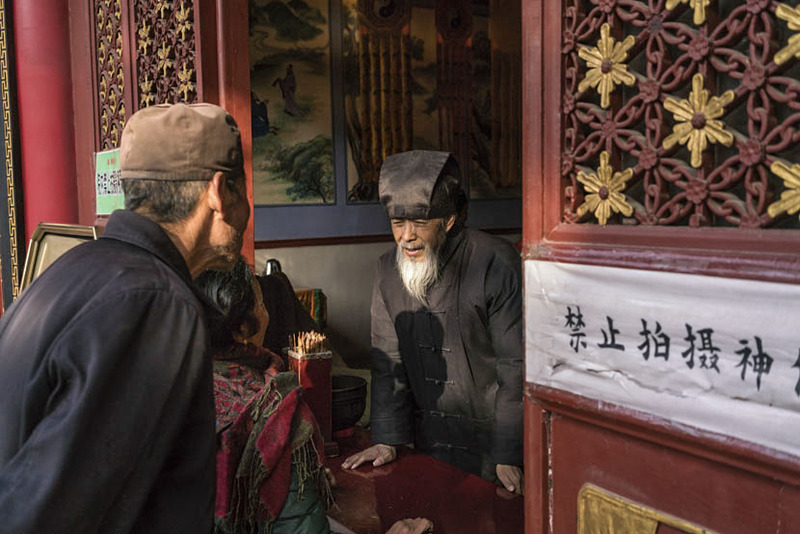 SHAANXI, Northwest China — On a chilly winter morning, rays of sunlight warmed the wrinkled face of Ren Farong, the former president of the Chinese Taoist Association. His long white beard bobbed up and down as he spoke. “In the past, people were pure and honest, and they protected the environment,” Ren said from his wicker chair in the courtyard of Louguantai Temple. It was here in the fourth century that Lao-tzu wrote the Tao Te Ching, the text that serves as the foundation of Taoism. Under the emerald roofs of Louguantai, monks with long hair tied into buns saunter past pine trees and firs, paying their respects to the sage and their gods in golden shrines, interrupted only by the occasional ringing of bells. Just 70 kilometers from this tranquil enclave lies Shaanxi’s capital, Xi’an, a city of about 9 million people. There, luxury cars zip past high-end shopping malls, coal plants belch toxic fumes into the air, and factories dump waste into waterways. Ren believes that greed and selfishness have destroyed the world’s natural balance. As a Taoist, he follows the wu wei — a spiritual tenet that literally means “non-doing,” and is often explained as letting things follow their natural flow. But the environmental degradation Ren and other Taoists were seeing year after year horrified them so much that they decided to do something out of character: They agreed to take action. Since the network’s founding in 2006, around 120 temples have joined. Some use biofuels and solar-powered lighting; others plant trees to prevent erosion and organize volunteers to pick up litter. Posters and signs prominently displayed at the temples remind visitors of the importance of nature. “Taoist beliefs emphasize respecting and protecting nature, all in the pursuit of harmony between the human beings and the environment,” said Ren, for whom becoming one of the quiet, inconspicuous leaders of a new green movement in China seemed a natural fit. By definition, Taoists are nonintrusive, even passive, and this is a mentality that is mirrored in the green temple network. 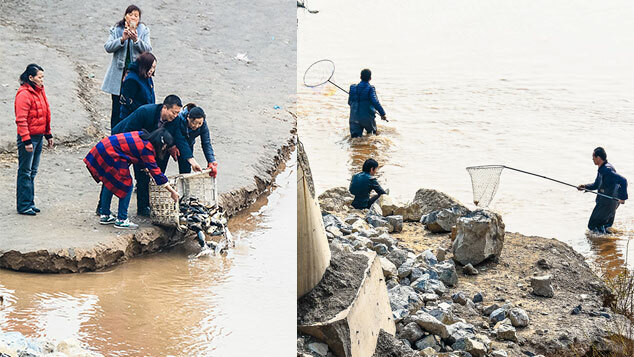 While other environmentalists march and protest, write petitions and distribute leaflets, Taoist believe that change will come about organically: Their contribution to the cause is to serve as role models that others can aspire to emulate. If people do what Taoism teaches, then the environment will reach a balance again. At Louguantai, Taoism has also taken on the task of protecting China’s most iconic animal, the panda. As more and more tourists flock to the summit of the sacred Mount Taibai, they cut through the forest that is home to the pandas, slowly destroying their habitat. If the tourists all took the same path up the mountain, the monks thought, the pandas would enjoy more peace. 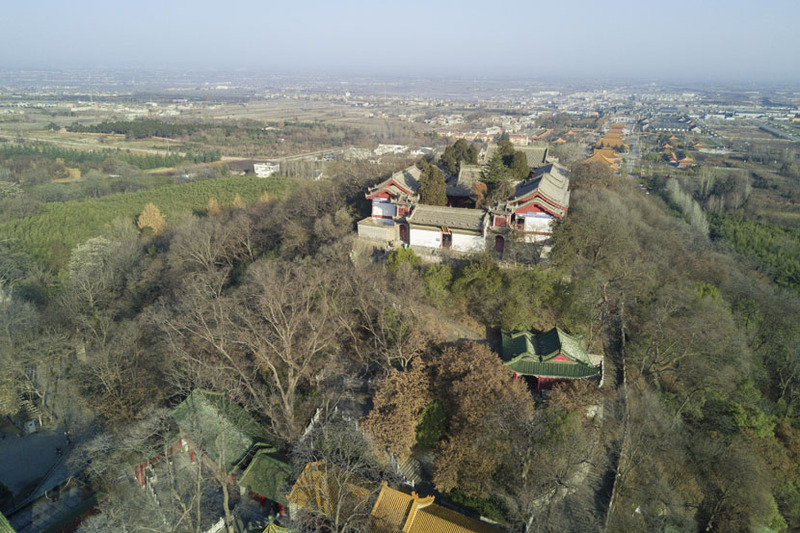 So in cooperation with the ARC, they built the Tiejia Taoist Ecology Temple along one of the paths and opened an ecology education center next to it, making the route the most appealing way up the mountain. The monks’ rationale was simple: Rather than put up signs telling people what not to do or preach about what’s right and wrong, they decided it would be more effective to show people an alternative that they would recognize as better. To some extent, the tourists are a nuisance to the temple’s tranquility, but the monks also recognize the benefit of educating visitors. “If people do what Taoism teaches, then the environment will reach a balance again,” Ren said. At Maoshan, one of the largest Taoist temples in China, not far from Nanjing in the eastern province of Jiangsu, solar lights line the broad walkways. 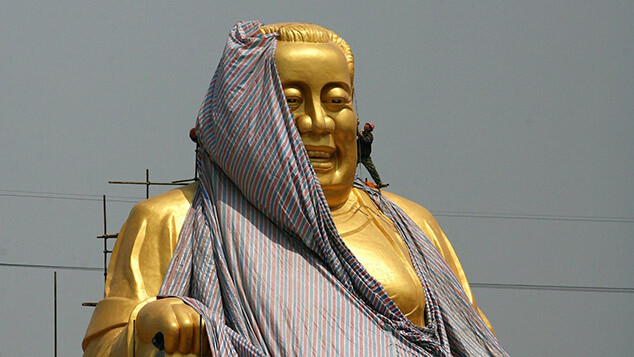 There are no utility poles or power lines besmirching the scenic view from the top of the hills down onto a massive, golden statue of Lao-tzu. Inside the cluster of temples and palaces, booklets describe the importance of keeping the environment clean, limiting one’s garbage, and various other sustainable practices. In a two-story building used for calligraphy classes, the only way to reach the upper floor is by climbing a terraced boulder that forms a natural staircase rising from the ground. If they had followed the original design plans for the new buildings, the monks would have had to cut down trees and excavate stones that had been in the same place for millions of years. But after the Qinling Agreement, they decided against these invasive measures, according to Yang Shihua, the head of Maoshan’s monastery. “We call our practice, ‘Let the roads, houses, and walls give way to the trees,’” Yang said while slowly climbing to the top of the natural stone stairs in his monk’s slippers. “Now, it’s become an attraction,” he added with a smile upon reaching the second floor. 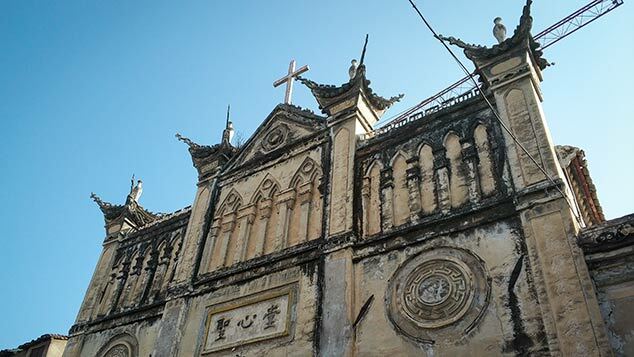 Across the country, around 50,000 Taoist monks and nuns live in a total of 9,000 temples. Twenty years ago, there were a total of 1,500 temples. There are no official figures for the number of Taoists in China, but a 2007 survey on spirituality in the country found that 12 million Chinese firmly identified as Taoist, while 173 million reported practicing it occasionally. 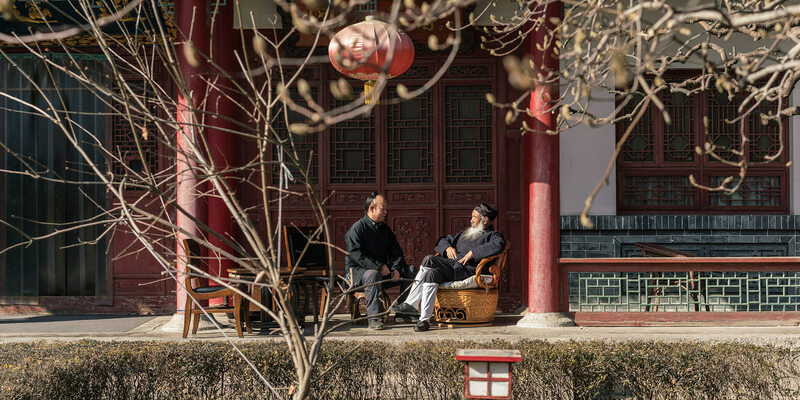 Fan Guangchun, one of the country’s most renowned scholars on Taoism, says that the religion is seeing a renaissance in China. “The number of Taoists is rising,” he told Sixth Tone. As Taoism is seen as offering an escape from a hyper-materialistic society, Fan observes that the makeup of followers is changing, too. 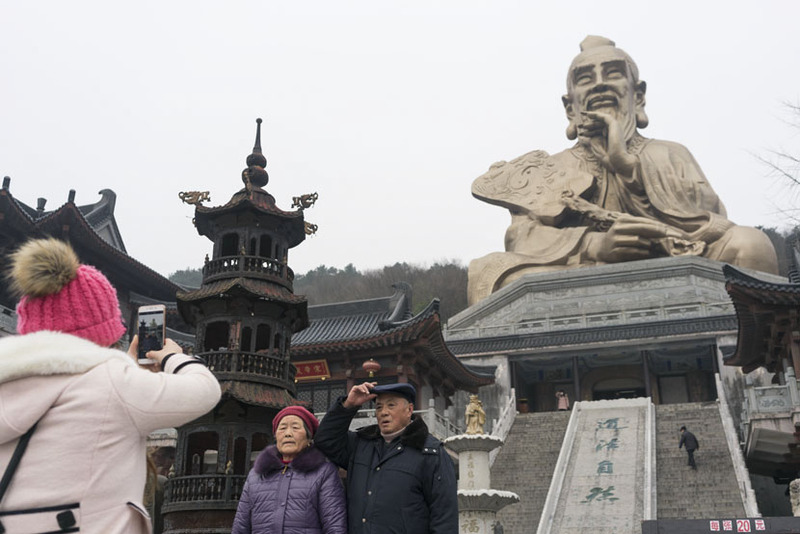 Historically, Taoism has been a religion practiced by people in the countryside, but Fan said he has been seeing more and more urban residents — with more education, income, and influence — frequenting the temples as well. 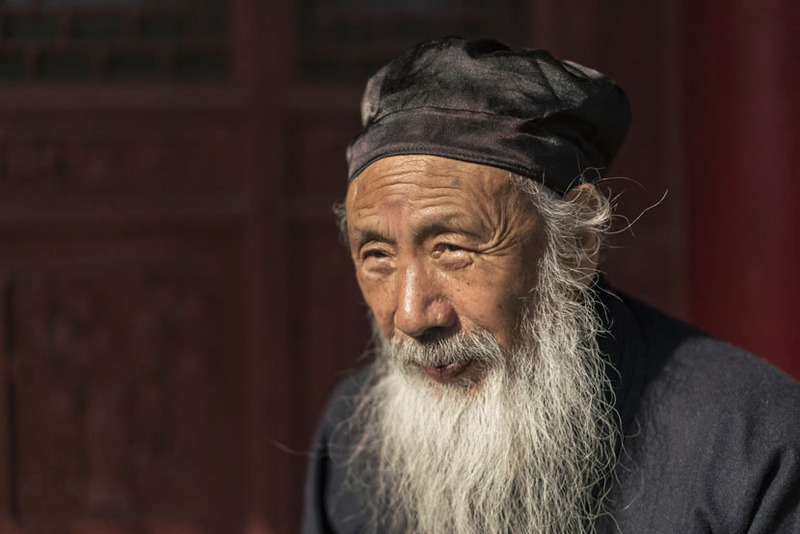 The government has also supported Taoism and recognizes it as China’s only indigenous religion. While the monks try to stick to their self-assigned role of leading by good example, there are a few instances in which they have actively tried to change people’s behavior. The three-stick policy for burning incense, Yang said, is a prime example. Previously, candles and incense sticks weighing several kilograms each were available at most temples, providing not only a source of income for the monks, but also a way for visitors to show their devotion, personal wealth, or both. But Yang said the practice had gotten so out of hand that smoke hung over the whole area. During the temple fair, if you looked up to the top of the mountain, it seemed like the peak was on fire. “During the temple fair, if you looked up to the top of the mountain, it seemed like the peak was on fire,” he said, adding that people’s hair and clothes sometimes caught fire, and that the temple struggled to deal with the massive amount of ash. Incense sticks are still being burned, of course, but now only small ones are available, and each visitor is allowed to buy no more than three — a call for moderation, the monks believe, in a society where many have lost focus of what’s important. “If all Taoist temples followed green practices, it would greatly influence our disciples, believers, and visitors,” Yang said. But with the Taoists’ tendency to avoid confrontation, it will take some time for the green temple movement to make a real difference, he added.